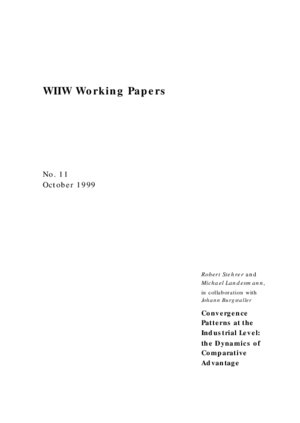 Although there exists a vast literature on convergence and divergence issue at the aggregate level, there is only little work on convergence and/or divergence processes of productivity and wage levels at the more disaggregated industrial level. These are especially important in the context of international trade regarding the dynamics of comparative advantages and resulting trade structures between developing and developed countries. In the first theoretical part, we discuss briefly some theoretical aspects of uneven sectoral productivity and wage catching-up processes, which determines patterns of dynamic comparative advantages and trade structures. Second, we present in Part A an econometric study of catching-up processes of wage rates and productivity levels and in Part B of export unit values (a measure of product quality); the analysis is conducted at the industrial level (ISIC 3-digit) over the period 1965-95 for a set of catching-up and more advanced economies. We use a large international sample of OECD, other European and Asian economies and undertake a cross-section and time-series analysis of convergence processes. In a separate exercise we examine the catching-up patterns of Central and Eastern European economies.